Our Valentines' Day edition of February's weekly shojo manga sales is here! Throughout the entire month of February, Kodansha Comics is offering up some of our most popular shojo manga series (yes, entire series!) for sale—up to 50% off on digital editions at our e-book retail partners: BookWalker, comiXology, iBooks, Kindle, Kobo, and nook. Tsukimi Kurashita has a strange fascination with jellyfish. She's loved them from a young age and has carried that love with her to her new life in the big city of Tokyo. There, she resides in Amamizukan, a safe-haven for girl geeks who regularly gush over a range of things from trains to Japanese dolls. However, a chance meeting at a pet shop has Tsukimi crossing paths with one of the things that the residents of Amamizukan have been desperately trying to avoid—a beautiful and fashionable woman! But there's much more to this woman than her trendy clothes! This odd encounter is only the beginning of a new and unexpected path for Tsukimi and her friends. 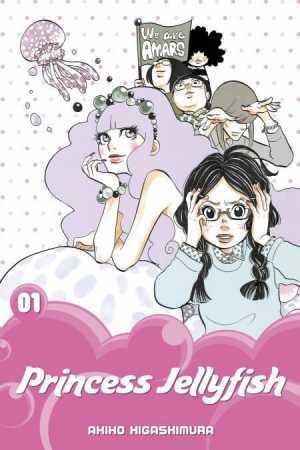 Princess Jellyfish volumes 1-4 on sale this week! Plus! 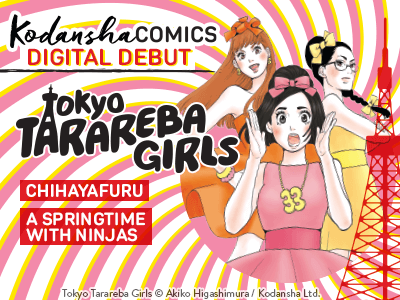 The new manga by Akiko Higashimura, Tokyo Tarareba Girls is debuting digitally on Februrary 14! "Hi there! My name is Serinuma Kae. One day, my beloved (yes, he’s an anime character) died, and the shock of it all was more than I could have ever prepared for! My grief over his passing resulted in some ridiculous weight loss! And you won’t believe what happened next! Soon after my change, the four most divinely gorgeous boys in my school asked me out on dates! I accepted them all, and you’d think I’d be happy with my sudden popularity, but the truth is, my heart only yearns for a prince to be next to his prince. Ahh, yes, boys, I’d much prefer that you turn your affections elsewhere and kiss him, not me!" 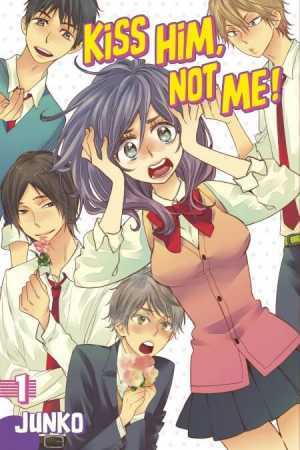 Kiss Him, Not Me volumes 1-9 on sale this week! A heartrending modern love story. A drunkard for a father, a household of poverty … For 17-year-old Atsuko, misfortune is all she knows and believes in. Until one day, a chance encounter with Itaru—the wealthy heir of a huge corporation—changes everything. The two look identical, uncannily so. When Itaru curiously goes missing, Atsuko is roped into being his stand-in. There, in his shoes, Atsuko must parade like a prince in a palace. She encounters many new experiences, but at what cost … ? 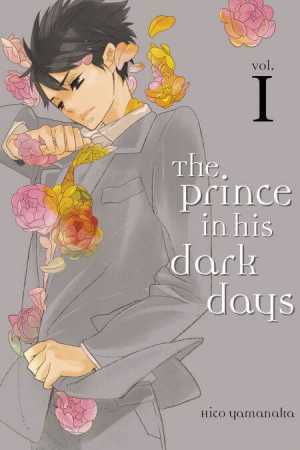 The Prince in His Dark Days volumes 1-3 on sale this week! For more info on digital-debut series, check back at KodanshaComics.com!